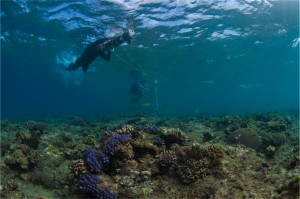 We develop and operate a range of platforms and systems to support applications in marine ecology, geology, archaeology and robotics research. The AUV Sirius surveying coral reefs at Scott Reef, WA. The AUV Sirius is our workhorse platform. It conducts most of the surveys associated with our IMOS AUV Facility program. 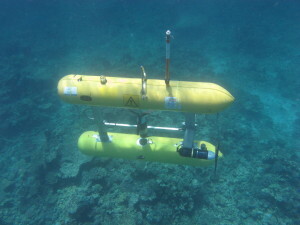 This vehicle is a modified version of a mid-size robotic vehicle called Seabed built at the Woods Hole Oceanographic Institution. 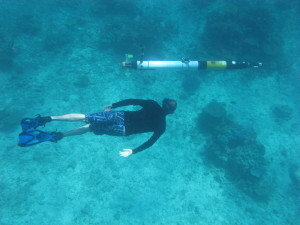 The Iver AUV conducting coral reef surveys at Scott Reef in WA. Our Iver 2 AUV is built by Ocean Server in the US but has been extensively modified to include a full suite of oceanographic instrumentation and high-resolution stereo imaging systems similar to those used on Sirius. The vehicle is primarily used for testing and validating novel control architectures and imaging capabilities from small form factor vehicles. 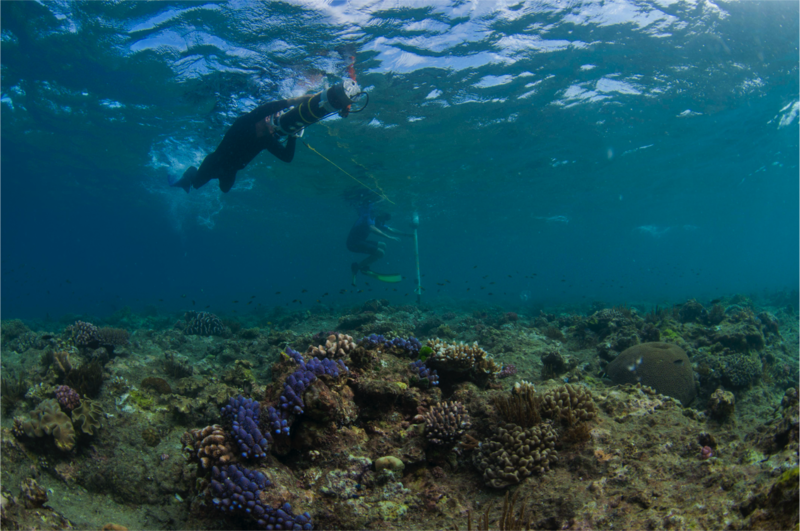 A diver operates our diver held stereo imaging system, collecting imagery to allow us to reliably generate high-resolution models of reef environments. Our diver held stereo imaging system is capable of collecting data similar to our more sophisticated AUV systems but is deployed by human operators. We use the stereo imagery collected by the platform to reconstruct the path of the diver and detailed, 3D models of the seafloor. We have recently been developing a standardised technique that we call a reef-record for collecting this imagery in a robust and repeatable manner. 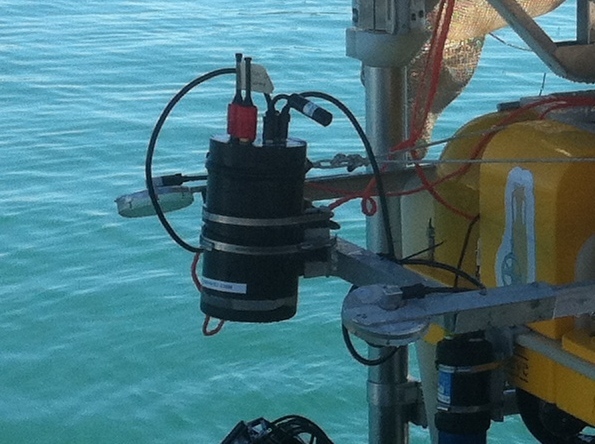 Our deepsea stereo imaging system has been deployed on a variety of ROV, AUV and manned submersible platforms. We have also developed a deepsea stereo imaging system capable of being deployed to depths of 2000m. This system has been used on a variety of AUV, ROV and manned submersible platforms. Our small Remotely Operated Vehicle is designed to support research in underwater intervention, imaging and AUV operations. 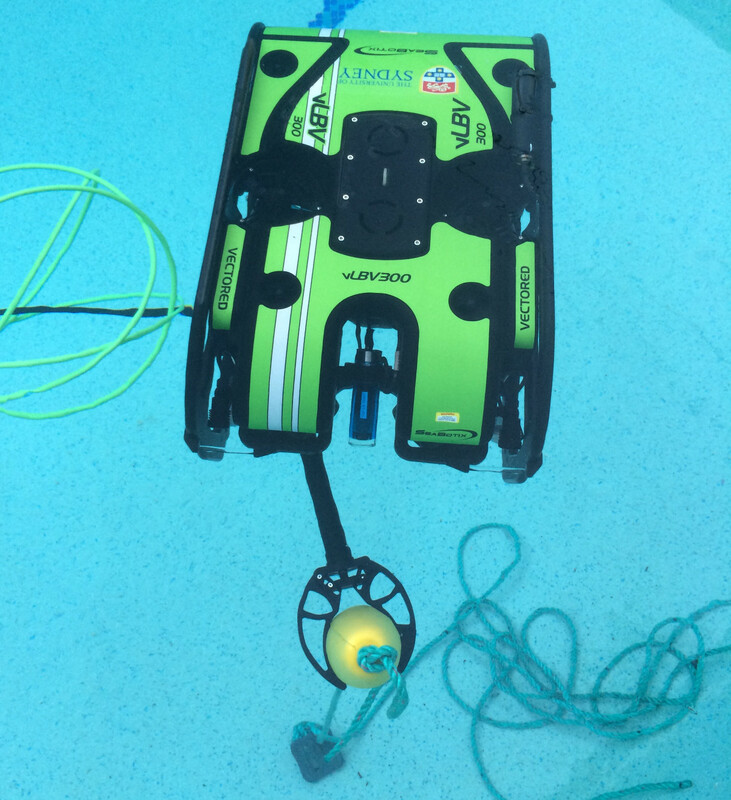 We have recently acquired a small vLBV300 Remotely Operated Vehicle (ROV) from Seabotix. This vehicle is intended to support research in improved underwater imaging as well as intervention operations. The vehicle will also assist with AUV operations.